There are literally hundreds of examples where the California Environmental Quality Act has protected our environment and public health. Here are just a few. Come back soon to see more case studies on how CEQA works for California. The loss of farmland to residential development is one of the critical challenges facing agriculture in California. In 2006, Greenbelt Alliance challenged the City of Oakley’s approval of the development of over 3,200 homes and commercial development on more than 800 acres of farmland of statewide importance. After prevailing twice in litigation, Greenbelt Alliance entered into a settlement with the City of Oakley and the project developers that allowed the project go forward but also created a fund to support the permanent protection of farmland in the San Francisco Bay Area. The settlement not only ensures that the project’s impacts on agricultural land are mitigated, it helps to preserve an important local food supply in close proximity to an urban area. 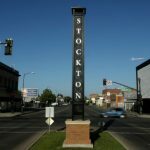 In 2007, the City of Stockton adopted a new General Plan that allowed massive sprawl development in new “villages” at the fringe of the City. Community members were concerned that the Plan would lead to further deterioration of the City’s downtown and degrade the region’s already poor air quality. Their CEQA lawsuit resulted in a ground-breaking settlement that required the City to encourage infill development in favor of sprawl, and to promote a transit system serving all major areas of the City. The City committed to: (1) establish a program to inventory GHG emissions, (2) initiate a process to adopt aggressive green building ordinances, and (3) prepare a comprehensive Climate Action Plan. Under the agreement, the preparation of the Climate Action Plan will be overseen by a new citizens’ advisory committee, comprised of representatives from the non-profit, environmental, labor, business and development sectors of the City. In 2004, the Chancellor of University of California, San Diego determined that his home, University House, was unfit to live in and had the building closed. In addition to being much loved throughout the community, the property is of significant cultural importance. Ancestral tribal burial grounds were found on the property years ago. The original plan for the house would have demolished the historic structure and the tribal burial grounds. The community and local tribes expressed serious concerns about the proposed project and had the location designated a Sanctified Cemetery pursuant to the California Public Resources Code. Through the use of CEQA, the community was able to protect a valuable cultural resource by preventing the demolition of University House and sacred tribal lands. The CEQA environmental review process ensured that the public remained informed about the plans for the property and provided a framework for community input to the University. Once University staff learned about the public’s concerns, they decided to work with the community and developed a rehabilitation plan to restore the historic structure and protect the landform that contains the ancestral burial grounds. Since 1980, Antioch’s population has doubled and development has raced to keep up. This rapid growth came at the detriment of open spaces, endangered species habitat, and traffic, and had pushed development to the edges of the community. Concerned about impacts on quality of life, Antioch residents used CEQA to stop a proposal by the City of Antioch that would have dramatically increased urban sprawl. The Sand Creek Specific Plan would have eliminated the green belt that separates Antioch from Brentwood and also would have also destroyed a significant habitat corridor. The Plan would also have exposed residents to serious public health risks by allowing sand and coal mining, which also increased the risk of landslides. Despite these environmental and public health concerns, the City was poised to approve the Plan. When the Draft EIR was opened to public comment, the community rallied against the Plan and eventually the City reversed its position. The CEQA requirement for public participation helped to Antioch residents protect quality of life. The California State Legislature established the Santa Monica Mountains Conservancy in 1980. CEQA has played a key role in protecting about 20,000 of the 69,000 acres that have been preserved to date under the Conservancy. Although nearly three-quarters of a billion dollars have been spent by federal, state, and local governments on this effort to protect and restore key sections of the Santa Monica Mountains, the acreage protected through CEQA mitigation measures came at no cost to taxpayers. For example, 10,000 acres of the key north-south wildlife corridor in the Santa Monica Mountains were preserved as a mitigating condition required by Ventura County. Because of its requirement for identifying feasible ways to offset environmental impacts, CEQA facilitates these types of private land contributions for public use while allowing economically beneficial projects to move forward. Headwaters Grove in Humboldt County spans 3,000 acres and contains redwood trees that are over 2,000 years old. This area was the largest unprotected old-growth redwood forest in the world and was seriously threatened by logging activities. Logging companies owned the land and were cutting down redwood trees, including some more than 1,000 years old, eliminating a resource that would take millennia to restore. In 1999 the California State and the Federal governments reached an agreement with landowner Pacific Lumber Company and bought the land. The purchase included 4,500 acres of land surrounding the old-growth grove, totaling 7,500 acres of forestland to be protected for public benefit. The agreement included a 50-year habitat conservation plan that had to comply with both CEQA and NEPA to govern logging activities on the nearby parcels of land. As required under CEQA, Pacific Lumber must adopt mitigation measures on its remaining land in order to protect threatened and endangered species. Today the area is known as the Headwaters Forest Reserve and is open to the public for hiking along trails and guided tours of the majestic old-growth redwoods. At the base of Mount Shasta, the McCloud River is one of the most famous and pristine trout streams in the world. In 2003, the Nestlé company submitted a proposal to bottle 520 million gallons of spring water from the McCloud for 50 years. The plan also called for the company to construct a one-million square foot bottling plan on an historic mill site, and to transport the bottles from the site by truck to Southern California. A broad coalition of community and conservation groups, together with the California Attorney General, demonstrated that the EIR for the project was unlawful: it failed to disclose the project’s devastating effect on the area’s biological resources and ignored the subject of climate impacts altogether. As a result of the issues raised during the CEQA process, Nestlé ultimately decided to move its project to another location, where its effect on the environment could be mitigated. CEQA preserved one of the premier fishing destinations in the world. 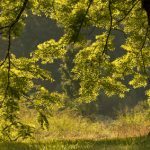 Chino Hills State Park, located in the foothills of the Santa Ana Mountains in Orange County, is a 14,000 acre-park encompassing rolling, grassy hills and large stands of oaks, sycamores, and walnut trees. In 2007, the Metropolitan Water District of Southern California approved the construction of a massive road traversing a portion of the Park. Of particular concern, the road would climb a steep canyon (on MWD land) containing one of California’s few remaining groves of California Walnut Woodlands, a habitat identified as “very threatened” by the California Department of Fish and Game. A local conservation organization used CEQA to challenge the project, which would also have devastated some of the Park’s coastal sage scrub, a plant that is home to several endangered and threatened species. 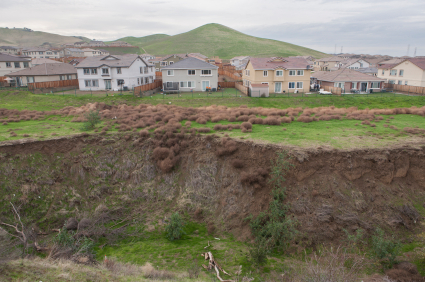 The parties, including the State of California Department of Parks and Recreation, ultimately reached a settlement that includes the permanent protection of off-site Walnut Woodlands habitat, located immediately adjacent to Chino Hills State Park. The tiny town of Somis lies in the heart of Las Posas Valley, one of Ventura County’s richest agricultural regions. For many years, Caltrans had plans on its books to widen two-lane Highway 118 through Las Posas Valley, to create a multi-lane thoroughfare for trucks and other commercial vehicles. So, when Caltrans announced plans in 2002 to construct a massive intersection project where Highway 118 runs through Somis, residents objected to this first step in Caltrans’ plan to construct a major transportation corridor through their area. Community members turned to CEQA. Through comments on Caltrans’ environmental document, they were able to demonstrate the project’s potential to forever alter the agricultural character of the Las Posas Valley. After the Somis group prevailed in court, Caltrans recognized that a smaller project along the lines proposed by the community would solve any local traffic congestion. This smaller intersection, moreover, could be funded entirely with local monies and built quickly, with less disruption for the driving public. When the Catellus Development Corporation planned the Mission Bay Project, it was to consist of thousands of housing units, a 43-acre UC campus, and millions of square feet of office space. The project planned to hook into the City of San Francisco’s combined sewage system. The additional sewage from the proposed Mission Bay Project would have increased sewage overflows by 2 million gallons per rainy season. 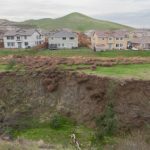 After environmental groups raised concerns about these projected overflows through a CEQA-enabled environmental review process, Catellus agreed to several mitigation measures. The company separated the new development’s storm water from the City’s system, included a state-of-the-art water filtration system at five storm-water outfalls to the Bay, created wetland habitat along a Bay-front public park, and assembled a team of consultants to evaluate the feasibility of further reducing storm water pollutants through additional innovations. The CEQA process allowed these measures to be agreed upon without litigation, and fostered a collaborative approach that encouraged cooperation between the developer and the environmental groups involved. The California State Parks and Recreation Department had long hoped to open single track trails to bicycle usage. In 2003, the Department planned some reconfiguration of narrow, sensitive hiking trails on the flanks of Mt. Tamalpais, opening these trails for multi-use, with limited environmental review. The Tamalpais Conservation Club (TCC) sued under CEQA, arguing that a full EIR should be required for what were wholesale changes to not only the specific trails in question, but also the Park Service’s own trails plan. The Department and TCC ultimately agreed to a settlement that included a program for increased cooperative planning and scrapped multi-use on a sensitive trail. Lincoln Place is a 33-acre, 1951 garden apartment complex off of Lincoln Boulevard in Venice. It was built by architect Heth Wharton and African-American designer Ralph Vaughn. When demolition permits were issued for this historic complex, a collection of historic preservation organizations – 20th Century Architecture Alliance, Los Angeles Conservancy, California Preservation Foundation and the National Organization of Minority Architects – filed a CEQA lawsuit to prevent its destruction. The lawsuit argued, in part, that the developer failed to comply with the pre-demolition conditions imposed through the environmental review process for the redevelopment of the site. Ultimately, the parties in the case reached an agreement that preserved a large number of existing historic buildings with rent controlled units available to tenants who had been unlawfully evicted and also allowed the owners to construct new apartments on a portion of the site. On February 14, 2013, Attorney General Kamala Harris announced the settlement of a Riverside County CEQA case that alleged failure to adequately analyze and mitigate a project’s impacts on residents of Mira Loma Village, who already faced serious health and environmental risks due to poor air quality. The proposed Mira Loma Commerce Center would have exposed residents already disproportionately affected by diesel exhaust and noise pollution to increased diesel truck traffic. The project proponents and the lead agency (City of Jurupa Valley) agreed to a settlement that includes a number of groundbreaking elements, including adding an Environmental Justice Element to the City’s General Plan; installing air filtration systems in the homes of Mira Loma residents; air quality monitoring in Mira Loma Village; landscaping of the site to minimize exposure to diesel particulate emissions; and, making the project site “green” by including a 100kW capacity solar photovoltaic system, LEED Silver certified project buildings, and electric vehicle charging stations. Harris stated she believed this project can be a model for “local governments, developers and communities to work together” in creating a thriving economy that does not cause public health to suffer. The Palmwood Estates project would have created a huge resort and golf complex in the Coachella Valley near the popular Joshua Tree State Park. The Coachella Valley provides critical habitat for several endangered species, and the Palmwood area specifically serves as a wildlife corridor, linking different parks together. The construction of the Palmwood project would have seriously threatened the Coachella Valley Multiple Species Habitat Conservation Plan. In 2007 the Center for Biological Diversity and Sierra Club filed a CEQA suit over the City of Desert Hot Springs’ approval of the environmentally damaging project. The environmental groups alleged that the EIR failed to analyze the greenhouse gas emissions and threats to wildlife. After the court sided with the petitioners, the development plan was eventually dropped and a third of the land was sold to the Coachella Valley Conservation Commission. The Hatton Canyon Freeway, a 3-mile bypass east of the City of Carmel, was one of the most controversial projects ever proposed in Monterey County. The Caltrans plan was to construct the new freeway through pristine Hatton Canyon, cutting down over 10,000 Monterey Pines, a rare species found in only three locations in the world. A court victory under CEQA forced the agency to analyze the cumulative biological impact of the project together with that of other developments. As a result, Caltrans dropped the freeway plan. The agency later solved the traffic problem by adding a new lane to Highway One—just the alternative suggested by project opponents. Hatton Canyon is now a park. A dedicated community and diverse stakeholder groups used the CEQA environmental review process to create the Chula Vista Bayfront Master Plan. This Master Plan will serve the southern San Diego County region and balances commercial, resort, and residential development with passive recreational parks and environmental preservation. The Chula Vista Bayfront Master Plan took more than 20 years of planning, including hundreds of community meetings and hearings. The final plan, unanimously approved by several public agencies, including the California Coastal Commission and the City of Chula Vista, enjoys public support from elected officials, environmental organizations, the business community, organized labor, arts and culture organizations, and health advocates. Instead of lawsuits, the diverse stakeholders negotiated agreements to change the project description and adjust mitigation requirements in order to create a plan that all parties could stand behind. 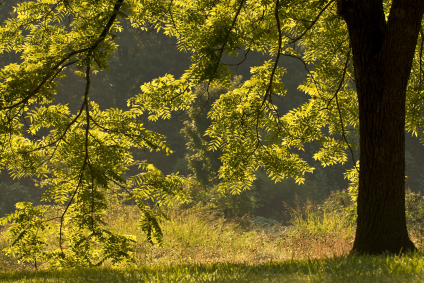 When built out, the Master Plan area will provide over 155 acres of public parks and open space. It will also restore and protect important wetland and riparian habitat. Thanks to CEQA, the Chula Vista Bayfront enjoys environmental protection while maximizing economic benefits. For three years in a row (2008-2011), the California Department of Fish and Game proposed that the Fish and Game Commission increase the quota for the hunting of black bears. The Department also proposed the initiation of a bear hunt in San Luis Obispo County, expansion of bear hunts in Modoc and Lassen Counties, expansion areas where the pursuit of bears by dogs was allowed. Relying on CEQA provisions that require government agencies to adequately analyze and disclose the impacts on the environment associated with policy changes, The Humane Society of the United States and others provided substantive comments detailing the inadequacies of the Department’s analysis including a failure to evaluate impacts of the proposal on local bear populations or to address threats to the species from rampant poaching. Expert biologists demonstrated that the Department was relying on outdated and incomplete methodologies for estimating the state’s bear population. Thanks to the thorough analysis and public engagement required by the California Environmental Quality Act, the Commission chose not to pursue this policy change. When Chemical Waste Management, Inc (Chem Waste) proposed the construction of a toxic waste incinerator 3.5 miles from Kettleman City, a predominantly Latino community in the San Joaquin Valley, residents grew alarmed. City residents urged Kings County to translate the 1,000 page, CEQA-mandated Environmental Impact Report (EIR) into Spanish. The county was unresponsive, and Chem Waste issued a scant, five page executive summary in Spanish. County officials also refused to hear translated testimony during public hearings. After the County approved the incinerator over community objections, residents filed a lawsuit under CEQA. The presiding judge ruled that the EIR had not sufficiently analyzed the toxic waste incinerator’s impacts on air quality and on agriculture. The judge also ruled that residents had not been meaningfully included in the permitting process. Chem Waste first appealed the decision and ultimately withdrew its application. 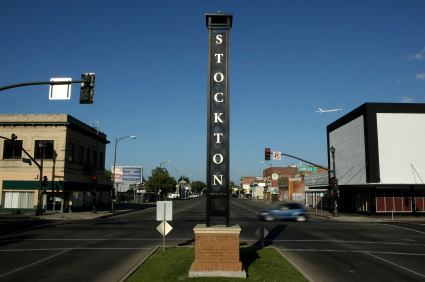 In 2004, the Port of Stockton approved a major expansion to triple its size. The Port acknowledged that the project would have a host of significant impacts on the surrounding San Francisco Bay-Delta watershed, which is one of the most sensitive water bodies in California and provides critical habitat for five endangered fish species. The Port nevertheless refused to adopt meaningful mitigation measures for most of these impacts, and it refused to disclose critical documents from the regional water quality control board showing how it could potentially avoid discharging up to 4.25 million gallons of toxic water each day. The Court of Appeal found that the Port had improperly excluded these documents from the administrative record under CEQA, and the U.S. District Court enjoined the Project for related violations of NEPA. In response, the Port entered into a comprehensive and ground-breaking settlement agreement to greatly reduce the Project’s air and water quality impacts and to establish a $5 million fund for further air quality mitigation. Thanks to a lawsuit brought under the California Environmental Quality Act, major landowners agreed to preserve most of the near-pristine Martis Valley while allowing appropriate development adjacent to already-developed areas. Located just outside of Lake Tahoe, Martis Valley provides a crucial habitat link between two federally designated wilderness areas and the Tahoe Basin and is a key gateway to Lake Tahoe. The legal settlements from the case subjected the new development to clear standards for resource protection and also provided for a stream of funding for habitat acquisition and workforce housing. This win-win outcome owes its success to two key CEQA provisions: thorough environmental assessment and robust public participation.